Chris Ansell provides a full range of plumbing, heating and drainage services for customers in Tunbridge Wells and the surrounding Kent area. From kitchen and bathroom repairs and installations, to the powerflushing of existing central heating systems, to replacing end-of-life boilers with a modern energy-efficient alternative to the full installation of central heating systems, Chris delivers first-class workmanship that complies with all current trade and industry regulations. Emergency Plumbing and Heating or Drainage Issues - NO Call-Out Fee! Home and business owners can call a genuine 24-hour service that covers all emergency work. To stop leaks, get your water back on or heating running again, Chris can arrive on the same day the initial call is received. Whether you have an issue with damaged pipes, faulty boilers or blocked drainage, do not hesitate to call any time. Chris will arrive at your Tunbridge Wells property with a view to providing a first-time fix wherever possible and limit any further damage caused by leaking, dripping water pipes or broken or faulty fittings which can cost thousands of pounds to fix if they are leaking water into walls and floors. So call Chris if you suspect you have a problem - because peace of mind is a lot cheaper if you call a plumber earlier rather than later! Chris Ansell also offers you a full bathroom and kitchen fitting service in and around the Tunbridge Wells area. Turning an old bathroom into a wet room, fitting an en-suite into your bedroom or turning a spare cupboard into a handy downstairs toilet. 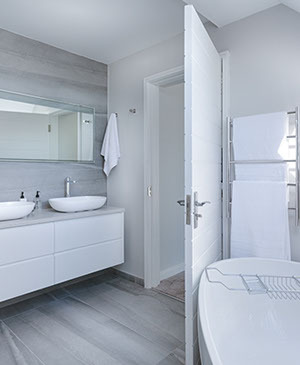 Whatever you wish to achieve, Chris`s skills as a professional bathroom fitter and Saniflo Specialist in the Tunbridge Wells area will achieve your design aspiration. For new kitchens, taking out your existing facilities and upgrading the hardest working room in your home with high-end materials and appliances is our specialty. Covering all disciplines in this multi-dimensional field, Chris Ansell professionally manage all the plumbing, a heating engineering issues or drainage installations in Tunbridge Wells - never outsourcing to external contractors on your home. Chris works with you from the start by designing a new bathroom or kitchen and keeps you posted every step of the way as the installation takes shape. He can also add extra features such as underfloor heating, heated towel rails and extractor fans. Chris Ansell offers free, no-obligation quotes on all of the work with NO hidden extras and takes personal pride in being on time and staying within your budget. 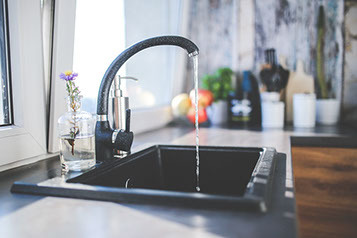 If you have a blocked sink, toilet, drain or basin, call Chris Ansell who has the experience and the equipment needed to clear offending blockages and get that water flowing again. Most drainage blockages are caused by a build- up of fat deposits, hair, nappies or sanitary items. Ansells Plumbing, Heating & Drainage covers Tunbridge Wells and Kent as your responsive drainage specialist and has a variety of tools and expertise at his disposal to cure the problem. If a blockage does become a more serious issue, CCTV technology will give a more detailed survey of your drainage system and identify what might be causing the issue. Chris also comes equipped with high-pressure jet washers that clear drainage problems faster than traditional rod systems. 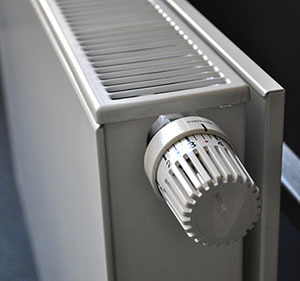 Chris Ansell, a qualified plumber and engineer can install or repair central heating systems and boilers within any property in or around Tunbridge Wells. A full survey of your premises can be undertaken and then Chris will provide a free, no-obligation quote at a competitive price. Chris Ansell professionally replaces old boilers, installs a full central heating system or replaces existing radiators all around the Tunbridge Wells area. Chris Ansell has a strong work ethic and prices are 100% transparent so you’ll never encounter hidden charges at the end of the job. Chris can also provide powerflushing services in Tunbridge Wells homes for central heating systems that clear radiators and pipework of debris, making the central heating system and boilers more efficient and this is recommended for all homes and premises in Tunbridge Wells and Kent. For all plumbing, drainage and heating requirements in the Tunbridge Wells and Kent areas, call Chris Ansell today for pleasant and friendly service. Chris is on hand to help with a full and professional range of plumbing and heating skills that will get your home back to feeling warm and cosy! Do you need a plumber or drainage specialist to attend your Tunbridge Wells or Kent property? Call Chris Ansell Plumbing Heating and Drainage Services now on (01892) 672299 for a polite, responsive service.